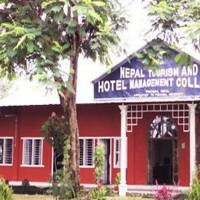 Nepal Tourism and Hotel Management College (NTHMC) is one of the finest institutions committed to excellence and innovation in importing high quality education. NTHMC is affiliated to Pokhara University and HSEB. Established in 1999, it delivers university curricula that have immediate impact, focusing on the knowledge, skills and attributes required to build competency of students.The college is managed by renewed academicians and business community of Pokhara Valley. It is a co-educational, self-sustainable education hub highly motivated by the pious intention of contributing towards producing self-reliant individuals and determined to share the continuous burden of youngsters whose parents have equal educational views towards the college and lead the youngsters, to the perk of competency and integrity. Committed to their motto “Dedicated to Academic Excellence and Professional Competence”. They invite aspiring students to join this challenging academic community where the synergy is achieved by merging strength of their faculty and the ability of their students. The main college complex is located at Chinnedanda-18, Pokhara. Since management education is resolute in urban area, business management programmes are shifted to the city centre. Business Management Center (BMC) is located at Gairapatan-4, Pokhara, 50 meters west of Palikhe Chowk with sufficient space to provide quality education to the management students. NTHMC is a private sector undertaking and devoted to research based quality education in accordance with the University regulations. The main College offers 10+2 education in Hotel Management as well as 4 years Bachelor’s Degree in Hotel Management Courses whereas the city campus (Business Management Centre) offers BBA and BBA-BI (Banking & Insurance) courses. The teaching and learning of BBA an BBA-BI will be focused on the theory and Practice of Business Management which enhances students’ capability to compete in the job market as Managers. To develop attitude required for Business and Hospitality Industry. To provide high quality education practically to complete globally. To produce middle management level personnel.